Well, I have to finally admit summer is over and Autumn is here! I can't say I'm too disappointed - mainly because I'm in love with all the A/W13 trends, so I'm eager to rock them! Also I get to go see my uni babes again! So I thought I'd show you all a few photies for the transition into autumn... 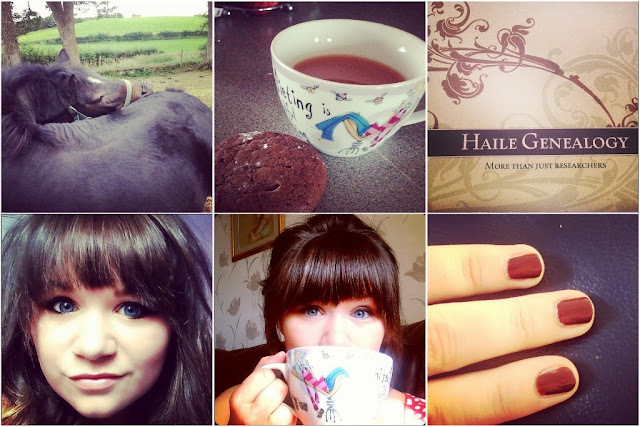 But this is also kicking off a monthly life catch-up post featuring some Insta photies! 1, defo going to miss sunbathing under my sunflowers. 2, Possibly THE best book I've ever read. 3, Months pass by and I still miss my best-friend, my mam. 4, I'm a domestic goddess, these sunday lunches were all from scratch and perfect. 5, The first thing my mam taught me to bake was Mars Bar Cake - so I taught Liam! 6, My (now) famous 'Death by Chocolate' cake. One sliver was MORE than enough for even my chocoholic sister. 2, Defo my favey bag for life, a life saver when you do a family shop every week! 3, Two Brothers in the last of the summer sun with Stella - never on the job! 4, Jumping on the Bandwagon and ADORING all of them! 5, Me with my lil man on his birthday, took him for an awesome shop, his dinner and WATER WORLD! 6. Blackite (or blackberry for the rest of you!) picking during a run with my sister! 1, Had to put this in, because I love this flexible horse! 2, A minute to myself with diabetic home-made cookies and a MASSIVE cuppa - which is needed for any Au Pair! 3, So proud of my wonderful Robert for not just launching his own business and releasing his own supplies. 4, Body Shop, yes, Body Shop asked me, yes ME! To create a how to with their products. I created a smoky eye - Bang on for AW13. 5, Me with one of my MANY massive cuppa's! 6, Metallic bronze nails - another bang on trend for AW13! This summer however has been interesting to say the least: My Mam passed (suddenly on May 11th at age 47), with my dad working, I packed up, moved home (temporarily) and became the Au Pair for my 6 year old brother... I've also decided I want to take my motorcycle licence (yes, I must say 'YOLO' my mum made me realise you really only live once), have been planning my wedding (eeeek) and I having spent the longest amount of time in my hometown in three years, I've come to realise, I love this place, but sometimes it's too small. Everyone know's everyone's business - which is not always as fun as it sounds! This is also my first proper lifestyle post in a year about me being home, as honestly I've been too scared since getting my blog hacked I strayed far away from them! But once again 'yolo' (urgh I know, but it pretty much sums up how I'm feeling!) I'm definitely going to do more, I stopped because someone hacked my blog and I ended up building it back up better than ever, so why let it beat me? But recently I got an awful comment on my blog about my Mam - Yes, my deceased mother. Then some person who text me months ago calling 'himself' 'Michael' popped up on my Snapchat with a rather suspicious girls name - so I've decided even if people want to sink down to awful levels, it's not going to get me down! 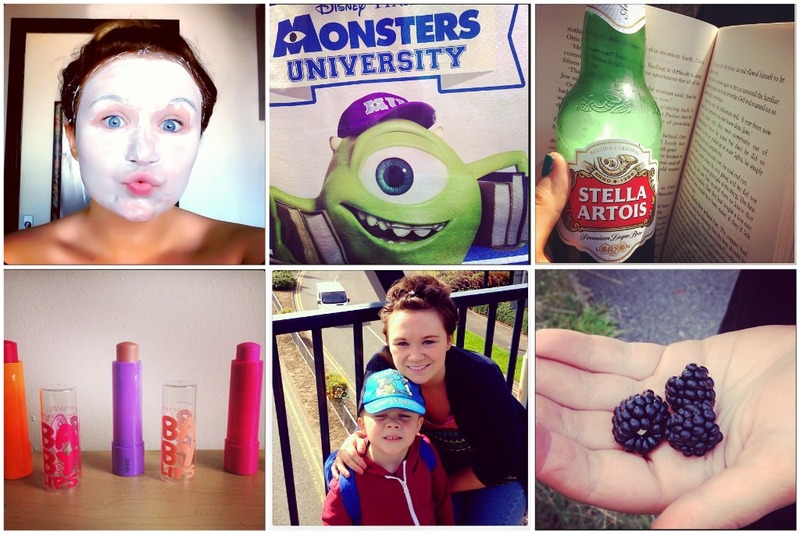 So tell me what you think of my new blog feature of 'Instagram Life Catch-Up' and sorry for imposing 'YOLO' on you all heheh!! Have you all had a good transition into Autumn? P.S. 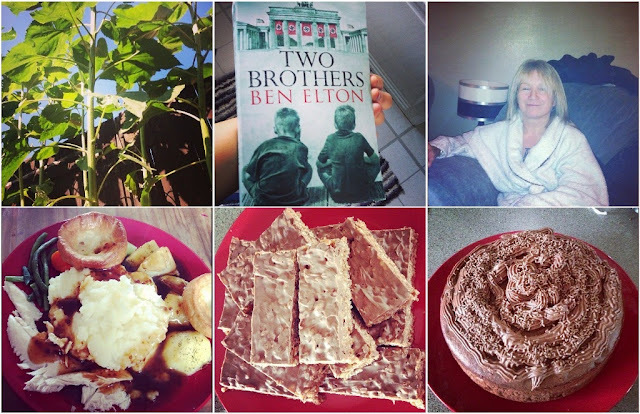 Don't forget to follow me on Instagram HERE! Such a cute post! I watched Monsters University the other day. Gotta admit I really enjoyed it! Perfect Smooth Curls? Hello Mr.Frieda!